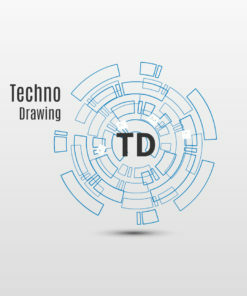 Techno drawing has technology concept where rings and signs are placed circle shape on the gray gradient background. The Presentation is looking simple and elegant. The presentation has cool animation from slide to slide on the 3D background and is recommended for topics like technology, robotics, technical drawing, car industry.